Back on September 12th Apple held a special press event where they showcased the new iPhone, iOS 6, and the updated range of iPods. Leading up to the event there was a lot of speculation that included alleged leaked components that Apple would reveal a smaller version of their tablet PC, but the event finished without any big reveal. 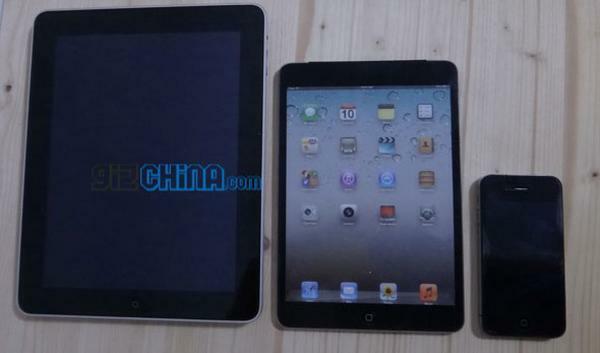 Now there are reports of a possible iPad mini keynote in the coming weeks, which may prompt an October release date. Speculation that Apple will be releasing an iPad mini continue to pick up pace with talk intensifying just before the iPhone 5 event, and since then we saw a possible working model surface. Now according to AppleInsider new reports are suggesting that Apple will begin sending out press invites on October 10th for a special event, which will unveil a smaller version of the iPad. Philip Elmer-DeWitt of Apple 2.0 today claimed that a source has revealed that the press will start receiving invites on October 10th, with the actual showcase taking place on the 17th, as the company normally gives the press a weeks’ notice before any event. Going on the company’s previous launch history this could mean any such device will become available on October 26th, which is a Friday. The report originates from an unnamed ‘major Apple investor’, who citied multiple sources about the press invitations. As far back as May there were reports that Apple was set to launch a smaller version of the iPad in October, and the device is rumoured to feature a screen size of around 7.85 inches, which is smaller than the 9.7-inch screen size used for the iPad so far. As with all rumours about upcoming Apple products they have to be taken with the usual pinch of salt, at least until the press invites do start dropping through the door. Do you think we will see the iPad mini this month?